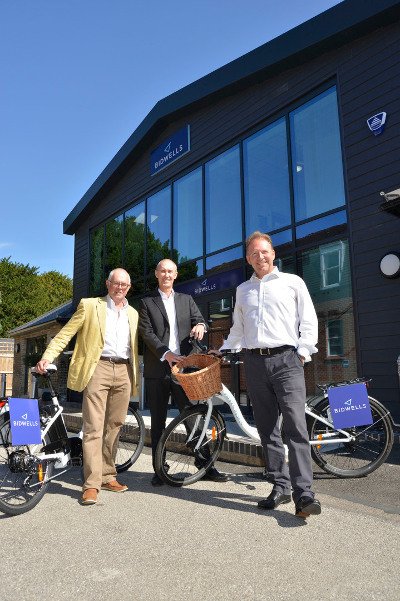 We are delighted to announce that Bidwells purchased two electric bicycles, and are considering another two for client and staff use. I had meetings around Cambridge every day that week..... It also meant I could test the battery’s life expectancy within the 45 miles range prescribed per charge. There were three power settings – low, medium and high, and the power-light came on as I selected ‘low’. It was a good that there was a short time lag while the battery engaged and I started to accelerate slowly. .... at this price it’s a steal!"